Nothing is more terrifying than a feral and wild orc berserker, charging the lines with its weapons swinging wildly through the air. 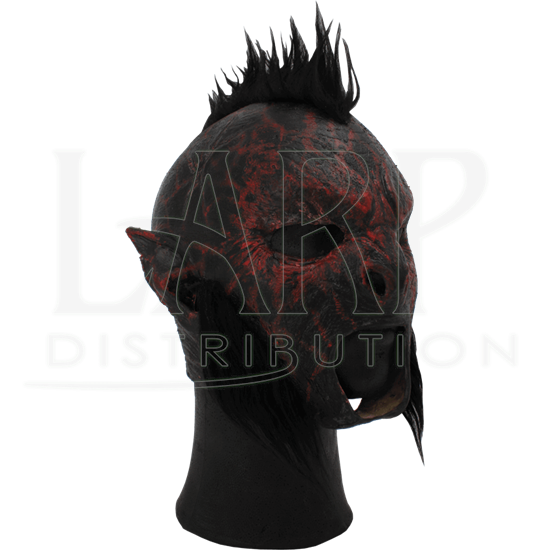 And in this Red Carnal Orc Mask with Hair, that rampaging, berserking orc can be you, in your next LARP battle! Just do not blame us if your allies mistake you for a real orc and start attacking you, too, because this mask is realistic with a capital Rand. 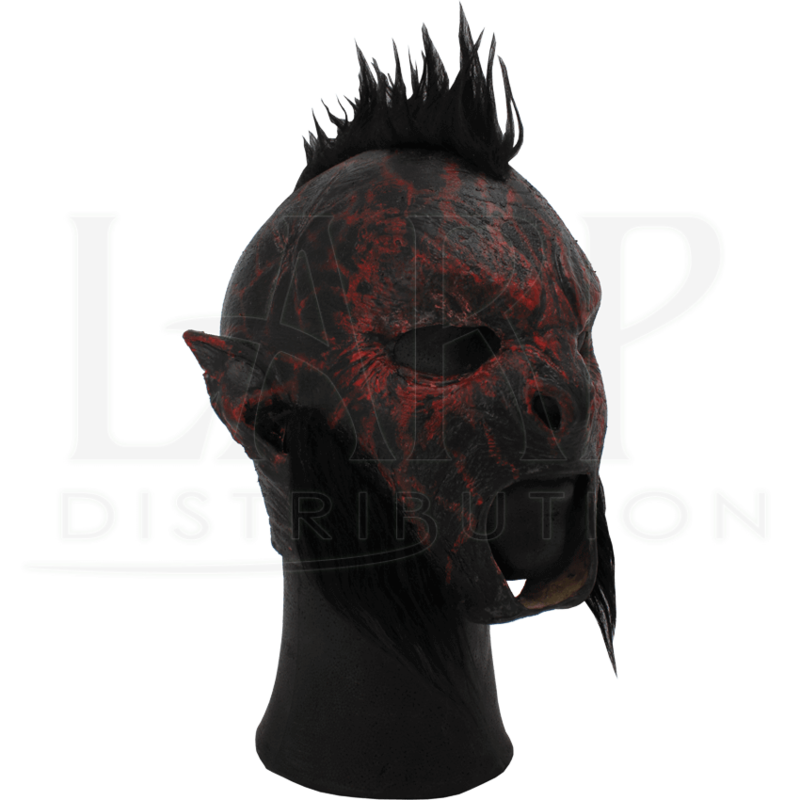 The blackened, splotched red skin of the mask offers a bit of versatility, which you can pass off as good war paint, errant blood spatters, or even the natural coloration of your blood orc race! The flat nose and musculature of the mask is vaguely ape-like, lending it a sense of brutal power that can only be found in the war-scarred visage of an orc warrior. The masks eyes and nose are both open, and the mouth wraps around the chin. The masks chin is adorned with a wide black beard that runs from ear to ear, while the skull is capped with a Mohawk, in true warrior fashion. The mask itself is made entirely from the finest latex, and it is offered in one size, fitting a head measurement of 57-59 centimeters.